Have had a lovely week off, done a nice bit of hanging about with Jane from London. Visits to the beach, town, even the Halswell Aquatic centre for some sun and surf. Loved it. 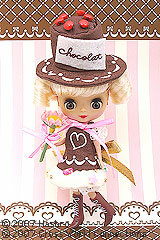 Another Petite in the offing: She is called something like Saint Choco Love. Ain’t she a babe. Ummm, it in EXTREMELY harrowing. But also quite beautiful. Next to watch is “Sympathy for Lady Vengeance”. When we have gathered some strength. On the reading agenda, James May’s driving book (Thanks to James’s ardent supporter Alison), and the memoirs of Harriette Wilson, courtesan.